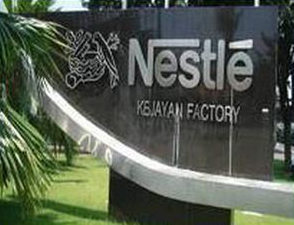 Lowongan kerja PT Nestle Indonesia- Kalin ini PT Nestle Indonesia sedang membutuhkan tenaga kerja baru untuk bagian Affairs Manager, Bagi anda yang berada di daerah Jakarta Pusat dan sedang mencari lowongan kerja silahkan anda baca selengkapnya berikut ini. Candidate must possess at least a Bachelor's Degree or Master's Degree/Post Graduate Degree in Business Management with Nutrition experience. 8 - 10 year(s) of working experience in Nutrition Business. Required skill(s): interpersonal and organizational skill; ability to work in a high pressure environment; dealing with ambiguity; and good computer skill in Microsoft Word, Excel, and Powerpoint. Required knowledge(s): management fundamentals/knowledge of operating environment/nutrition knowledge; complete understanding of WHO Code; understanding of the local ethical promotion code; solid knowledge of Infant Nutrition and Product knowledge. Full-Time position(s) available based in Head Office with regular market visits.